Use these troubleshooters to tackle typical hassles with your toilet, sink, faucets, and more. 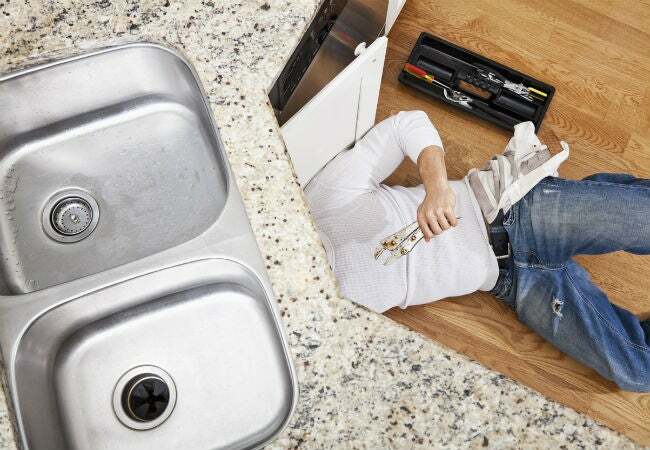 While the pleasures of homeownership are great, there will invariably be repairs along the way, especially when it comes to your hard-working plumbing. Some issues, such as fixing broken sewer lines, should certainly be handled by a pro; others, fortunately, are basic do-it-yourself jobs—no special tools or skills required. Check out five of the most common problems you’re likely to encounter and learn how to make short work of them with these plumbing repairs. Condensation on toilet tanks—the kind that ends up dripping into puddles on the floor—generally occurs after taking a long hot bath or a steamy shower. That’s when temperature and humidity levels in the bathroom are high, but the water in the toilet tank is still cool (between 50 and 60 degrees Fahrenheit), causing condensation buildup. Picture how a cold beverage develops droplets outside the glass on a sizzling summer day; the same thing is happening with your toilet tank. To prevent the pesky problem, this plumbing repair involves installing an anti-condensation tank liner. You’ll find them in kits at DIY stores and plumbing-supply outlets for less than $20. The kit includes instructions and a large sheet of flexible foam, which you’ll cut to fit the inside of the tank. Depending on the brand, the liner will come with a peel-off backing or separate adhesive for installation. You’ll need to drain the tank and let it dry out before starting. Once the liner is securely in place (you may need to wait overnight for adhesive to set), it will form an insulating barrier between the cold water and the outside tank, and puddles will be a thing of the past. 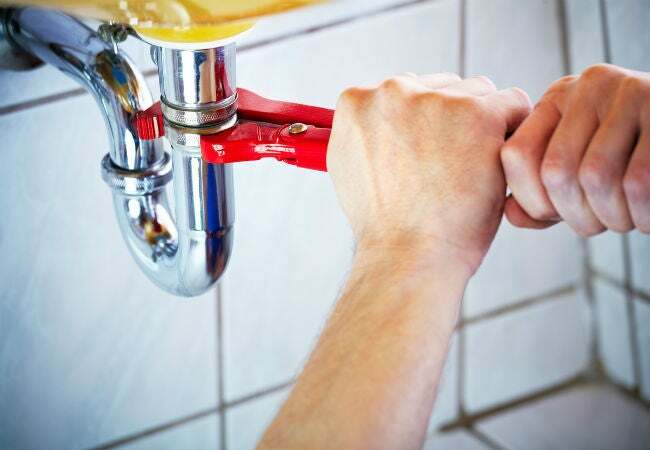 Removing a sink trap—a P-, J-, or S-shaped pipe that connects to two other pipes beneath the basin—is often the key to common plumbing repairs like unclogging a sink, because that’s where most clogs lodge. Or if someone drops a ring or other valuable down the drain, you’re likely to find it caught in the trap. Follow the steps below to remove, clean, and replace a trap. 1. Position a pan beneath the plumbing pipes under the sink to catch the residual water that will drain out when you remove the trap. 2. 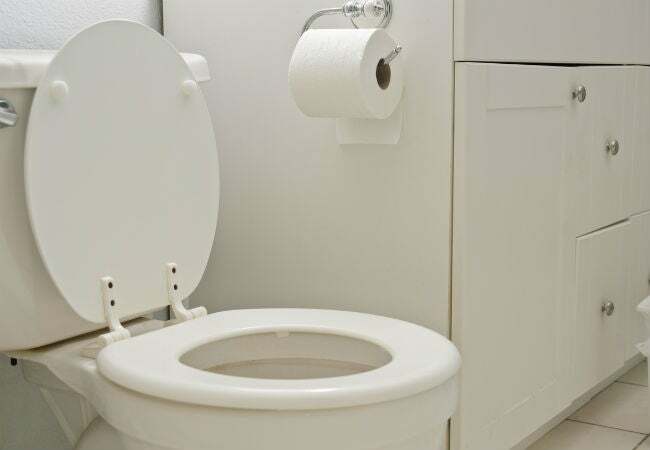 Locate the trap that connects to the pipe that drops straight down vertically from the sink drain and the horizontal pipe called the “waste arm.” The trap is threaded on both ends and held in place with nuts. No need to turn off the water supply to the sink, just tell family members not to use the water while you’re working. 3. Loosen both nuts that secure the trap by twisting counterclockwise. You can often do this with your hands, but if a nut’s really stuck, use an adjustable pair of pliers—just go easy to avoid breaking the nut. 4. Detach the trap by pulling it downward. It should fall off easily; if not, pull and wiggle gently till it comes loose. Allow water to drain into the pan you’ve placed below the sink. 5. Scrape out any stuck debris you notice in the trap with an old butter knife, and then take the trap outdoors and spray it out thoroughly with a water hose to remove any sludge that might be coating the inside. 6. Reattach the now-clean trap by sliding it back into place and twisting the nuts that secure it clockwise with your fingers. The plumber who originally installed your sink applied caulk around the edge to keep water from seeping between the basin and the countertop. Over time, however, this semi-solid waterproof sealant can deteriorate, harden, or crumble, allowing water to seep into the cabinet below, which can damage stored items and lead to mold growth. 1. Scrape away the old caulk with a plastic putty knife; a metal knife could scratch the sink or the countertop. 2. Wipe down the seam between the sink and countertop with a clean rag dampened with denatured alcohol. The alcohol will remove residual traces of soap scum or grime. 3. Let the area dry completely. 4. Apply a small bead of caulk, approximately 1/8” in diameter, all the way around the sink, keeping consistent pressure on the tube to create a uniform bead. 5. Dampen a fingertip with water and carefully run it along the bead of caulk, smoothing the caulk into the crease and forming a nice smooth groove. You may have to rewet your finger a few times. 6. 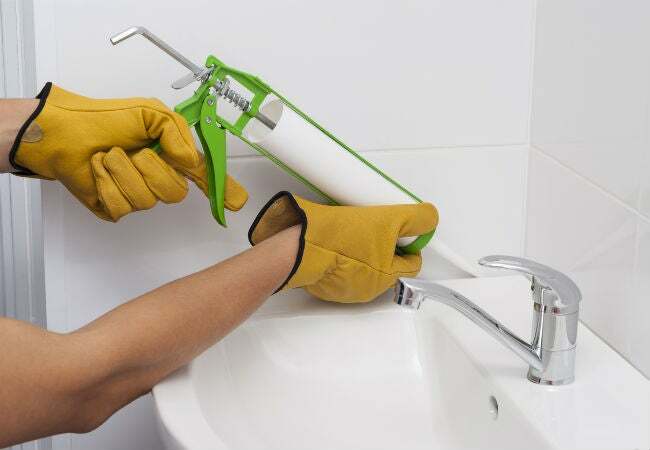 Allow the caulk to dry completely before using the sink. Drying times appear on the caulk tube and average 12 to 24 hours. Mineral deposit buildup in your water heater can reduce the unit’s efficiency. By flushing your water heater every six months, you’ll extend its useful life and enjoy more hot water. You’ll find flushing instructions in the manual that came with the unit, and while models may vary slightly, for most the following steps are sufficient. 1. Turn off the power to the water heater. If it’s electric, shut off the breaker. If it’s gas, turn the gas off at the shut-off valve. 2. Turn a hot water faucet elsewhere in your house to “On,” and allow it to run until the water cools. 3. Attach the end of a standard garden hose to the drain outlet at the bottom of the water heater, and put the other end in a floor drain or a large bucket. 4. Turn off the water supply to the water heater. 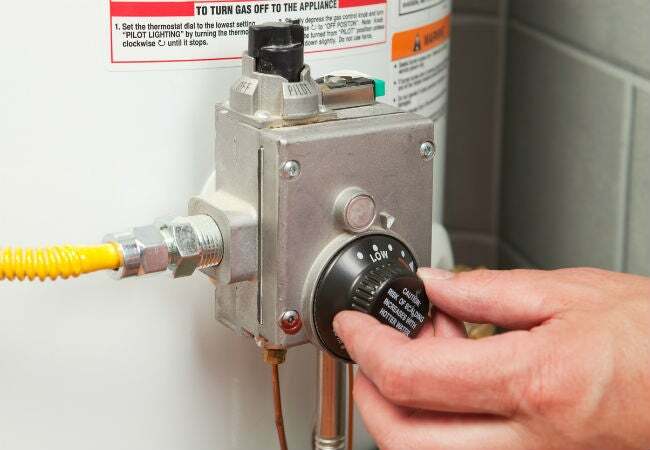 The shut-off valve is located on the pipe that connects the cold water supply to the top of the water heater. 5. Use a flat-head screwdriver to open the drain valve located on the drain outlet where the garden hose is attached. Water will begin draining out of the hose, along with built-up sludge and mineral deposits. Be careful to avoid getting splashed—the water will be very hot! 6. Close the drain valve with the screwdriver when water stops draining out, remove the hose, turn on the water supply to the water heater, and then turn the power back on. It’s so frustrating when you want a strong, powerful stream of water but only a trickle comes out of the faucet! Fortunately, most water flow issues are an easy fix. • First, check the water pressure at different faucets. If only one faucet is affected, the problem could be mineral deposits. Most faucets have either a small screen or a water-saving filter at the very end of the spigot that twists off. Remove the screen by twisting it off counterclockwise. If it’s clogged with debris, rinse it and reattach it. • Showerheads are notorious for developing hard water deposits that can turn a refreshing spray into a disappointing dribble. 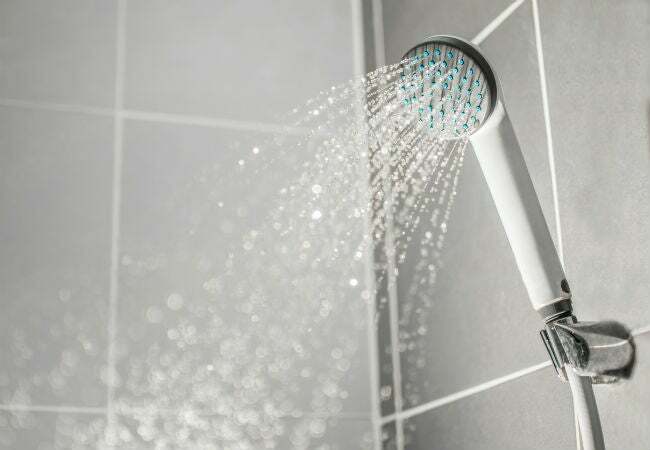 If the low water pressure affects only the shower, remove the showerhead using a set of locking pliers to turn the nut that holds it in place. Soak it overnight in white vinegar, then rinse and reattach. • Low water pressure at all faucets is a real red flag. Call your local municipality to see if work is scheduled on the water lines that supply your home, which could affect your pressure. If no work is being done, turn off all the faucets and any other water-using appliance, such as a dishwasher. Then check the water meter (usually located near the curb or alley). If the meter is turning, despite all your faucets being off, there’s a leak somewhere between the meter and your home. This indicates a serious situation and a plumber should be called immediately.